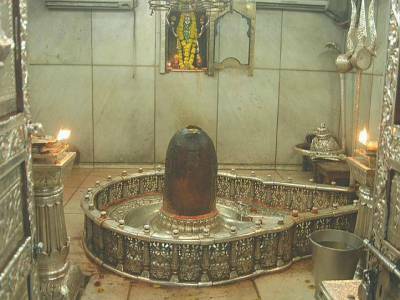 The Mahakaleshwar Jyotirlinga is situated in the ancient city of Ujjain is the biggest of the lingas among the twelve Jyotirlingas. The pillar of light that once enlightened the earth, resides in this forest laden cultural & mesmerising city of Ujjain is cradled by the Block Mountains in the mid province of the state Madhya Pradesh. The temple is located near the large water body, the holy Rudra Sagar Lake. 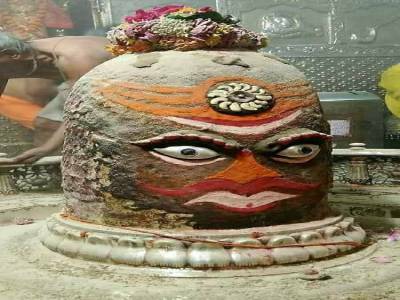 The rest of the Jyotirlingas is empowered by the chants of the lord while Mahakaleshwar is the only one that is empowered by the shakti from within, the reason why it is called Swayambhu. Legend tells a tale of a bond between an ardent devotee and the Lord for the appearance of this Jyotirlinga. It is said that by side of the Kshipra River, devotees Shrikhar and Vridhi prayed for lords assistance to protect the Chandrasena ruled Avantika, the then Ujjain, from rivals & plunderers. 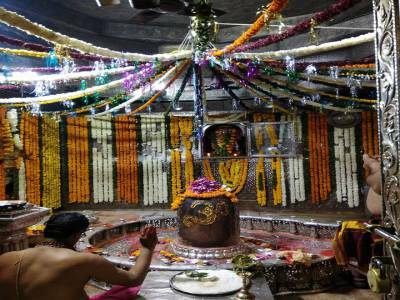 Answering to their plea the lord emerged as the Mahakal and decimated the enemies, thus establishing peace once again. For this story inspires the ritual of twelve year Kshipra bathing, the Kumbha Snan Mela, for eternal purification. The temple complex is believed to be built during the Mauryan rule of Ashoka and later one further developed by King Vikramaditya. However, in 1200 AD Iltutmish raided India and destroyed the city of Ujjain and the temple which was later reconstructed with modern art & architecture during the Maratha reign of Scindias in 1800 AD. The south facing temple houses the Jyotirlinga in the sanctum, a sanctum for lady Parvati and the Nagachandreswara on the third storey, which opens on Naga Panchami only. 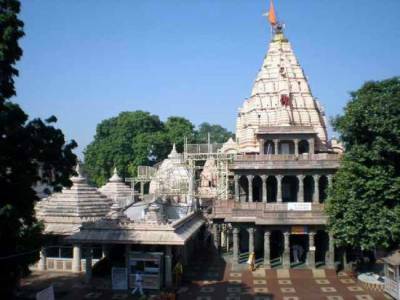 The city of Ujjain is very beautiful and is only a 55 KM drive from Indore that has every transportation facilities. The temple is best to visit during the decorated festivals of Mahasivaratri & Naga Panchami. 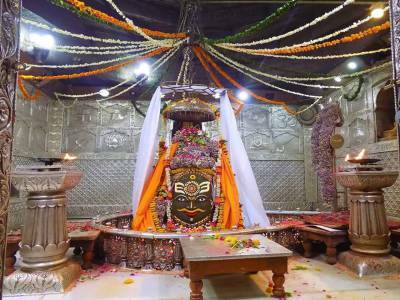 Get quick answers from travelers who visit to Mahakaleshwar Jyotirlinga.